Recent closures of London Gatwick and Heathrow airports because of ‘Drone’ activity has highlighted the significant danger unmanned remotely controlled aircraft pose to public safety. Around the world drones have also been used as a means of smuggling contraband, carrying out deadly attacks and infringing people’s right to privacy. In the wrong hands they are a potentially lethal weapon. 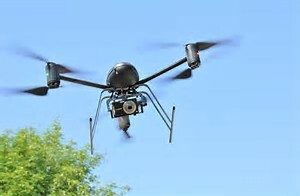 This regulation shall not apply to a drone weighing less than 150gr and used exclusively over and within the confines of a person’s garden or land, or garden or land over which the person has written permission to operate and the drone is operated within the requirements of the ‘Drone Code’ issued by the CAA. Operating a drone in contravention of these regulations shall be a criminal offence.